CenturyLink solidifies its presence in North Louisiana by agreeing to an incentive deal that keeps the Fortune 200 company's corporate headquarters in Monroe, LA through 2025. As one of the largest IT companies in the nation, CenturyLink employs more than 2,000 employees in the region. SuperATV will invest $4.35 million to develop a manufacturing and distribution facility in Shreveport, creating 75 new direct jobs. The Shreveport-Bossier City MSA has a cost of living of 89.8 percent of the national average, primarily because of its low cost utilities and housing. The Monroe MSA has a cost of living of 89.2 percent of the national average ̶ due in large part to the area’s affordable health care and transportation costs. DeSoto Parish becomes certified as an ACT Work Ready Community in order to support existing and prospective companies. 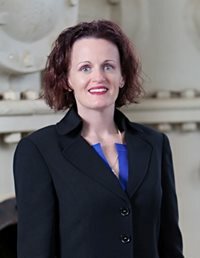 NLEP's SVP of Workforce, Angie White, named Lousiana's Workforce Champion of 2019. North Louisiana Economic Partnership (NLEP) will honor the best in economic development at its Annual Meeting, called Top Event on January 17, 2019. The reception starts at 5:30 p.m. with the program starting at 6:30 p.m. at Sam’s Town Hotel, 315 Clyde Fant Parkway, Shreveport. North Louisiana Economic Partnership (NLEP) announced on January 10, 2019 its 2019-2020 Board of Directors and Officers. NLEP’s new board members were elected by more than 200 investors for multi-year terms, and the Board in turn elects four board officers. Ruston Mayor Ronny Walker and Louisiana Economic Development Secretary Don Pierson joined other state, regional and local officials in dedicating a 150-acre site at the Ruston Industrial Park as a new LED Certified Site. YoungWilliams will create 80 new direct jobs at its new Bossier City call center, set to open by March 2019. Another 40 new indirect jobs will be created in Bossier Parish. In Bossier City, YoungWilliams will make a $1.5 million capital investment at its location within the Louisiana Boardwalk Outlets along the Red River. North Louisiana Collaboration Wins International Award! North Louisiana Economic Partnership, General Dynamics Information Technology’s (GDIT) Integrated Technology Center in Bossier City, Louisiana Economic Development (LED), Louisiana Tech University, Northwestern State University (NSU), and Bossier Parish Community College (BPCC) won an Excellence in Economic Development Silver Award from the International Economic Development Council (IEDC) in Atlanta, GA. The nationally award-winning North Louisiana Manufacturing Week expands to two weeks, October 1-12, 2018, as demand for tours escalates. Today, the North Louisiana Economic Partnership (NLEP) announced more than 1,600 students will participate in 68 tours at 27 manufacturing plants and six manufacturing training programs across ten parishes in North Louisiana. NLEP earned reaccreditation from International Economic Development Council. The Accredited Economic Development Organization (AEDO) status reaffirms that NLEP is a leading economic development organization. North Louisiana is the most affordable place to live in the state, according to the Cost of Living Index for the second quarter of 2018. The Monroe MSA is 88.1 percent of the national average, and Shreveport is 89.1 percent of the national average. The forestry sector has always been a leading economic driver in our region. According to LSU Agricultural Center’s August 2018 economic breakdown of the industry’s economic impact, the forestry sector created nearly $4.3 billion in economic impact and generated more than 9,000 jobs in northwest Louisiana. Caddo, Bossier, Webster and DeSoto Parishes announced plans to become ACT Work Ready Communities to enhance workforce readiness. North Louisiana ranks as one of the most affordable places to live based on Cost of Living Index for the first quarter of 2018. Shreveport-Bossier City MSA has a cost of living of 89.5 percent of the national average, while the Monroe MSA has a cost of living of 88.6 percent of the national average. 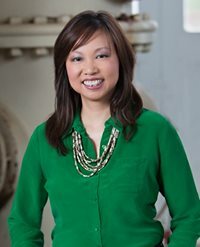 Christine Wong Rambo, NLEP Senior Vice President, Communications & Marketing was honored by Trademark Women of Distinction. Duckwater Services, based in El Dorado, Arkansas announced today it will build a $4 million, state-of-the-art transportation services center in the Bossier Parish Town of Haughton, Louisiana, right off Interstate 20 and Exit 33 on LA Highway 3227. Valarie Jamison, North Louisiana Economic Partnership (NLEP) Board Chair, was honored by the Shreveport-Bossier African American Chamber of Commerce (SBAAC) during its 77th Annual Meeting on April 5, 2018. Jamison received the prestigious Chairman’s Award, given to a person who has made an impact on the community or obtained a special honor. Liz Pierre, Senior Vice President of Legal and Research for North Louisiana Economic Partnership (NLEP), was honored on April 5, 2018 by Southern University Law Center (SULC) as a Distinguished Alumna for her career accomplishments. The Shreveport- Bossier City Metropolitan Statistical Area (MSA) and the Monroe MSA ranks among some of the most affordable places to live in Louisiana, according to the 2017 Annual Average Cost of Living Index. NLEP honored top projects and leaders who contributed in a significant way to economic development in North Louisiana! North Louisiana Economic Partnership (NLEP) unveiled the findings from a Ouachita-Black River System Economic Impact Study, conducted by the University of Louisiana at Monroe's Center for Business and Economic Research. The Study documents $5.7 billion in economic impact from activities associated with the Ouachita River. North Louisiana Economic Partnership (NLEP) was recognized for its exceptional economic development leadership with LABI's Economic Development Partner of the Year Award. Five national site selectors who influence the location decisions of Fortune 500 companies toured Shreveport-Bossier. North Louisiana Manfucturing Week is an award-wining program that exposes high school students to manufacturing careers, sponsored by NLEP and MMC. City of Shreveport and surrounding communities within a 100-mile radius were certified as the first AEROready region in Louisiana. North Louisiana Economic Partnership (NLEP) won three Excellence in Economic Development Awards during the International Economic Development Council (IEDC) Annual Conference in Toronto, Canada on September 19, 2017. The latest Cost of Living Index ranks Shreveport as one of the most affordable places to live in Louisiana. The Shreveport-Bossier City Metro has a cost of living of 91.6 percent of the national average- one of the lowest in the state. North Louisiana Economic Partnership (NLEP) sets the standard for economic development excellence as two more professional staff members earned their Certified Economic Developer (CEcD) designation. This brings the total number of Certified Economic Developers on staff to four. NLEP now ranks in the Top Ten of all economic development organizations globally for the number of CEcDs on staff. The latest Cost of Living Index for the first quarter of 2017 continues to rank North Louisiana as one of the most affordable places to live in Louisiana. The Shreveport-Bossier City Metro has a cost of living of 89.9 percent of the national average. The Monroe Metro's cost of living is 93.5 percent of the national average. 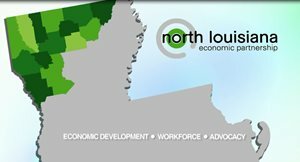 North Louisiana Economic Partnership (NLEP) and other regional economic development organizations in Louisiana will sponsor the second annual Statewide Economic Development Summit presented by Entergy to be held on Tuesday, April 11th in Baton Rouge. The Summit will focus on economic development in the state. Monster Moto dedicates its news headquarters and assembly facility in Ruston, creating 287 new jobs over 10 years. Natchitoches and Bastrop in North Louisiana have been named among the nation’s top 100 micropolitans for economic development by Site Selection magazine, a leading economic development journal. North Louisiana Economic Partnership today (February 21, 2017) presented the University of Louisiana at Monroe a $30,000 check to fund an economic impact study of the Ouachita and Black Rivers. GLOVIS America announced the opening of a state-of-the-art vehicle logistics and processing center at the former General Motors plant in Shreveport, Louisiana, creating 150 new direct jobs in Caddo Parish. NLEP launches InterNET database to connect students to internships across North Louisiana. Weyerhaeuser announced it will locate a regional office in Ruston, creating 20 new jobs and $1 million in capital investment. North Louisiana’s low cost of living means families can afford a higher standard of living. The Shreveport-Bossier City Metro has the lowest cost of living in the state with 89.4 percent of the national average, according to the Cost of Living Index recently released for the third quarter of 2016. The Monroe Metro cost of living is 97.2 percent of the national average. NLEP joins seven other regional economic development organizations and higher education partners to support Louisiana Constitutional Amendment No. 2 which gives higher education institutions more control over setting their tuition and fees. North Louisiana Economic Partnership (NLEP) and the Northwest Louisiana Technical College (NWLTC) join forces with private sector companies to enhance training for skilled trades in North Louisiana. Approximately 800 northwest Louisiana high school students will tour nearly 30 manufacturing plants and training providers during the third annual Northwest Louisiana Manufacturing Week, October 3rd-7th. North Louisiana Economic Partnership (NLEP), an Accredited Regional Economic Development Organization, will showcase Ruston and Monroe to an influential group of national site selectors during our 2016 NLEP Site Selectors Familiarization Tour from September 20th to 22nd. Regional leaders and stakeholders along with industry and economic development partners attended a regional meeting of Governor John Bel Edwards’ Task Force on Transportation Infrastructure Investment on September 12, 2016, co-hosted by the North Louisiana Economic Partnership (NLEP) and the Northwest Louisiana Council of Governments. North Louisiana continues to be one of the most affordable places to live in Louisiana. The Shreveport-Bossier City Metro tops the list with the lowest cost of living in the state with 89 percent of the national average. The Monroe cost of living is 94.9 percent of the national average. Tower Place in Monroe launches the Think Tank - the first-of-its-kind workspace in Northeast Louisiana. North Louisiana’s Cost of Living remains below the national average, according to the recently released Cost of Living Index for the first quarter for 2016. Module X Solutions announced a joint venture with Oldcastle Precast Inc., forming Module X Oldcastle in Shreveport, LA. North Louisiana Ranks as the Most Cost Competitive Place in U.S.
Monroe, Louisiana tops the list of U. S cities as having the lowest cost of business. Tower Place in Monroe expands North Louisiana’s technology assets and serves as one of the region’s premier plug-and-play technology centers in our growing IT corridor. Business, state and local leaders today broke ground on an 88-acre technology and mixed-use development in Monroe that will be home to IBM’s newly established 400-job Client Innovation Center. As part of continuing efforts to drive economic development and investment in North Louisiana, AT&T, North Louisiana Economic Partnership and the Greater Shreveport Chamber of Commerce announced today that the Petroleum Square One and Petroleum Square Two have been certified as AT&T Fiber Ready. Two North Louisiana companies today earned the 2016 Corporate Investment & Community Impact (CiCi) Award from Trade & Industry Development, a leading national site selection magazine. IBM in Monroe, LA and Monster Moto in Ruston, LA won in the Community Impact category, which honors companies that have made the most notable impact on communities. 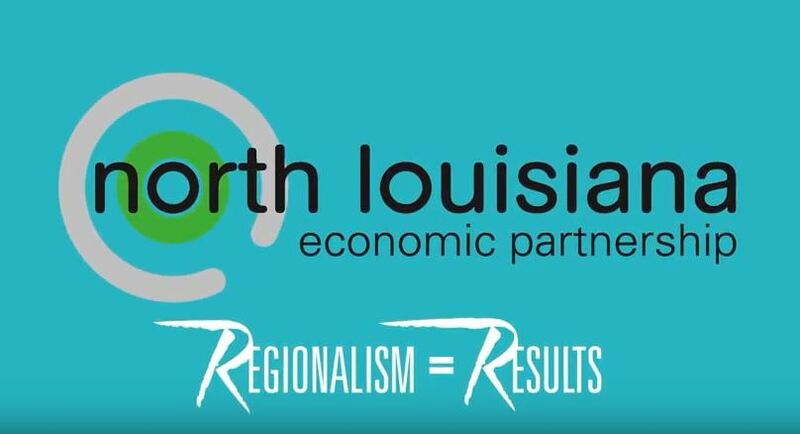 North Louisiana Economic Partnership (NLEP) today announced a Statewide Economic Development Summit on April 18th intended to strengthen the state’s economy through shared ideas and business practices. 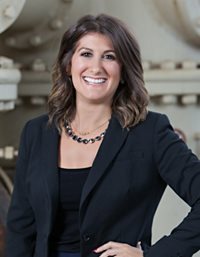 North Louisiana Economic Partnership (NLEP) announces Sheena Black as its new Vice President of Business Development. Black will lead the NLEP Business Development program responsible for recruiting new companies to North Louisiana’s 14 parishes. She started at NLEP on February 18, 2016. 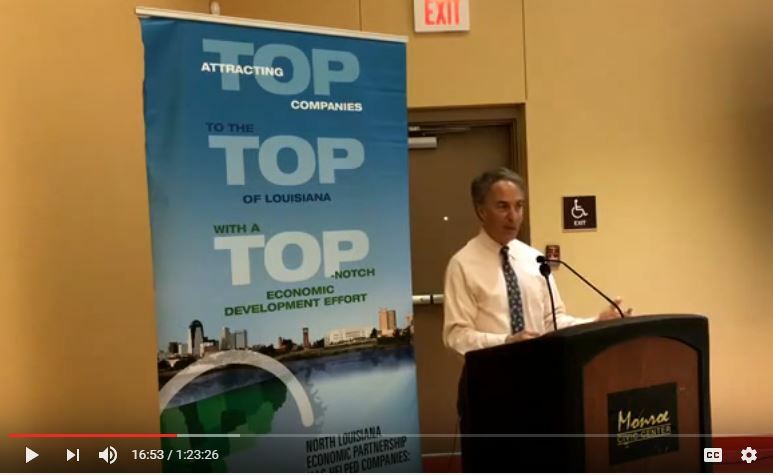 North Louisiana Economic Partnership (NLEP) tonight announced the winners of its first ever TOP Awards during the NLEP 2016 Annual Meeting at Sam’s Town Hotel & Casino in Shreveport, LA. The awards honor projects or persons that have made a tremendous impact in economic development throughout North Louisiana during the previous year. 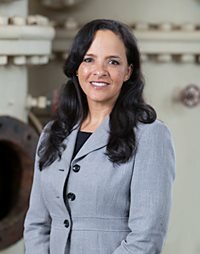 NLEP Senior Vice President Liz Pierre received her certification as an Economic Development Finance Professional (EDFP) from the National Development Council. ExpressJet Airlines announced 2/11/16 the company will undertake a $400,000 expansion at its aircraft maintenance facility at Shreveport Regional Airport that will result in more than 35 new direct jobs. The Cost of Living Index for the 2015 Annual Average shows that the Shreveport-Bossier City, LA Metropolitan Statistical Area (MSA) and the Monroe, LA MSA remain among the most affordable places to live in Louisiana. The third quarter 2015 Cost of Living Index released today shows a positive trend for North Louisiana communities. Since 2012, the cost of living for the Shreveport-Bossier and the Monroe Metropolitan Statistical Areas (MSA) declined to its lowest levels. 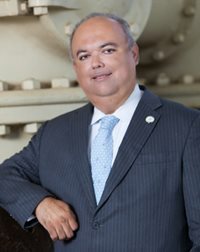 Scott Martinez, CEcD, President of the North Louisiana Economic Partnership (NLEP), was elected to the Board of Directors of the International Economic Development Council (IEDC) at IEDC's 2015 Annual Conference, which was held October 4-7 in Anchorage, AK. 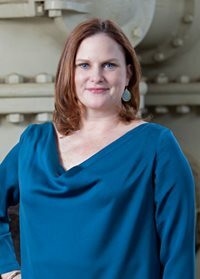 Alberta Brown Green, North Louisiana Economic Partnership (NLEP) Director of Information Technology Initiatives, will be honored as University of Louisiana at Monroe’s Rising Young Alumni. Shreveport, La. ranks among the top ten real estate markets nationwide where millennials make up the greatest share of first-time home buyers, according to a report in Bloomberg Business citing data from Realtor.com. The Shreveport-Bossier MSA and the Monroe MSA continue to rank as the most affordable places to live in Louisiana. 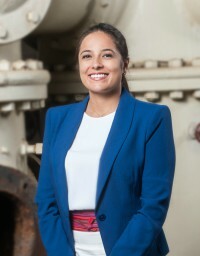 North Louisiana Economic Partnership (NLEP) hired Alberta Brown Green as the Director of Information Technology Initiatives, who will be based in the NLEP Monroe office effective August 24, 2015 and Zazell Dudley as the Director of Business Development, who based in the Shreveport Office effective September 1, 2015. The Shreveport Bossier MSA & the Monroe MSA rank among the most affordable places to live in Louisiana. NLEP is one of only 43 organizations to earn an Accredited Economic Development Organization Designation by the International Economic Development Council. WalletHub’s analysts compared the relative startup opportunities that exist in the 150 most populated U.S. cities. Monster Moto relocates a manufacturing operations from China to Ruston, Louisiana. North Louisiana Economic Development Project Nationally Recognized. Technology Center to be home to 800 jobs and will result un 1,170 new indirect jobs in the Greater Monroe Area. The Sabine wood products manufacturer invests in new dryers and capital upgrades, retaining 400 jobs at company’s Florien plywood mill. IBM facility anchors CenturyLink-affiliated technology and mixed-use development. Theismann discussed lesson learned on and off the field during the NLEP 2015 Annual Meeting in Shreveport, LA.